I just recently began to dip a toe into grain-free baking. First it was these cookies. Then this pumpkin bread. 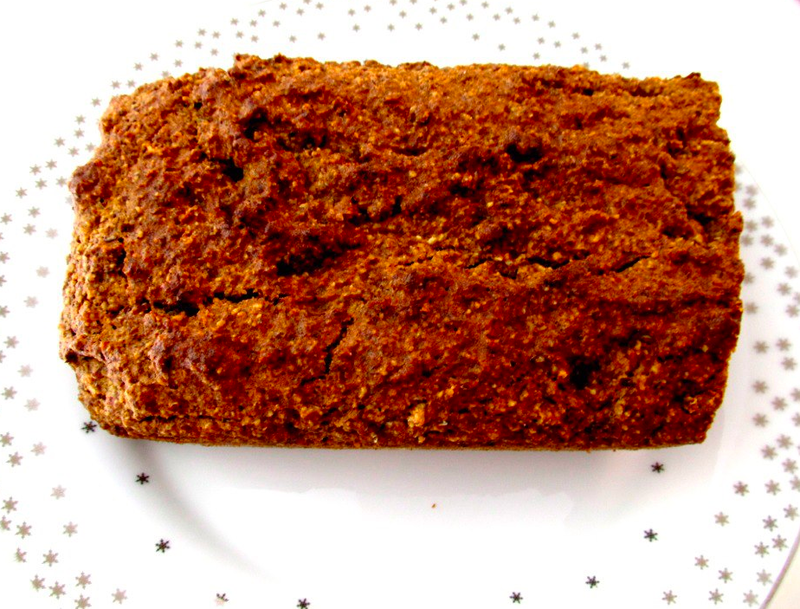 But my favorite grain-free recipe to date is this Grain-Free Ginger Spice Cake. The cake is made of just a few ingredients – almond meal, eggs, spices and oil, but the result is a delicious cake that is sure to be a holiday favorite. I happen to enjoy this cake best with a nice warm pat of butter and a cup of Fortnum and Mason tea, but this cake would be equally delicious with some vanilla ice cream or even a bit of nutella spread on top of it. It is cake season after all isn’t it? Preheat oven to 350 degrees F. Combine dry ingredients in a bowl and lightly whisk together. Combine wet ingredients in a separate bowl. Mix wet and dry ingredients together until well combined. Pour into a greased 9×5″ loaf pan and bake for 45 to 50 minutes (don’t bake too long or the bread will become dry). Remove from oven and wait for the cake to cool before eating. This entry was posted in Breads and Baked Goods, Cooking, Gluten-Free and tagged gluten-free ginger spice cake, gluten-free recipe, paleo cake, paleo recipe on November 7, 2012 by allie@sweetpotatobites.